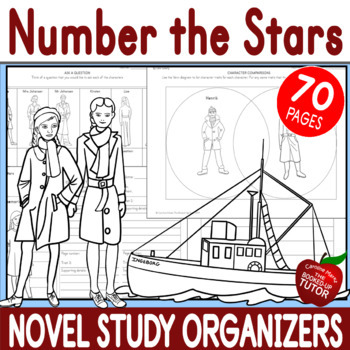 This pack of organizers is a great accompaniment to the novel NUMBER THE STARS by LOIS LOWRY. 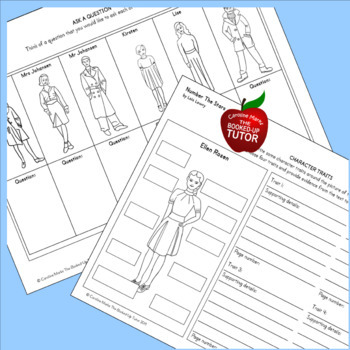 Illustrated with my own art work, there are a variety of worksheets that will help students to dig deeply into the characters of the novel. 50 pages of character traits, which consists of 5 pages per character for ten characters (see list below). 2 "Ask the character a question" pages for 12 characters. 10 diary entry pages, 8 illustrated, two blank.